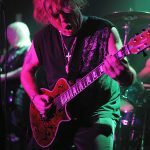 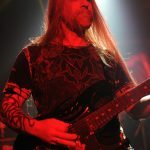 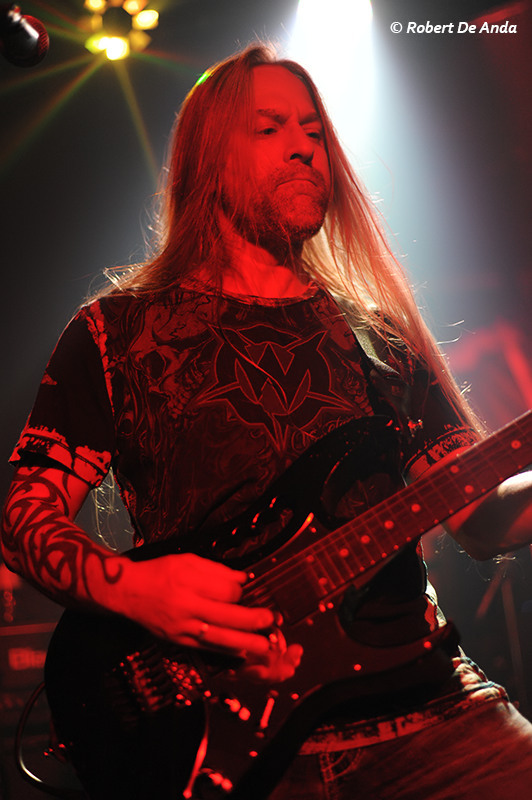 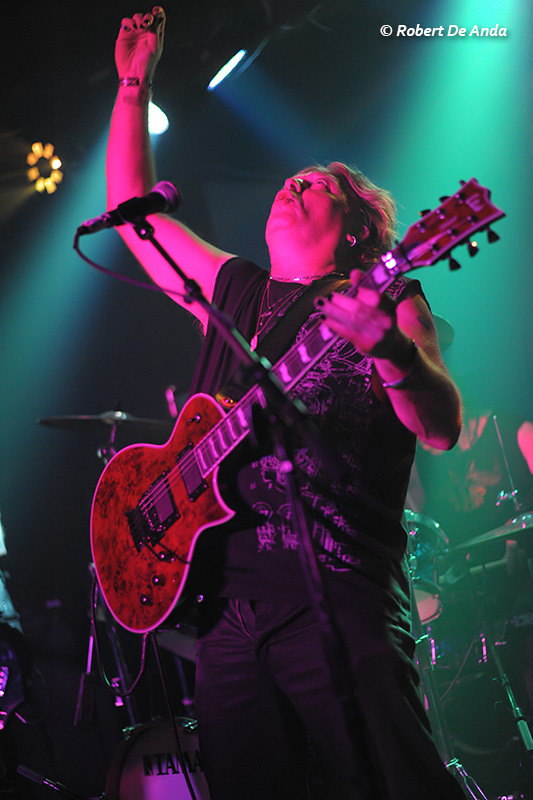 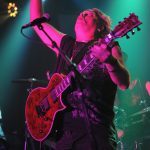 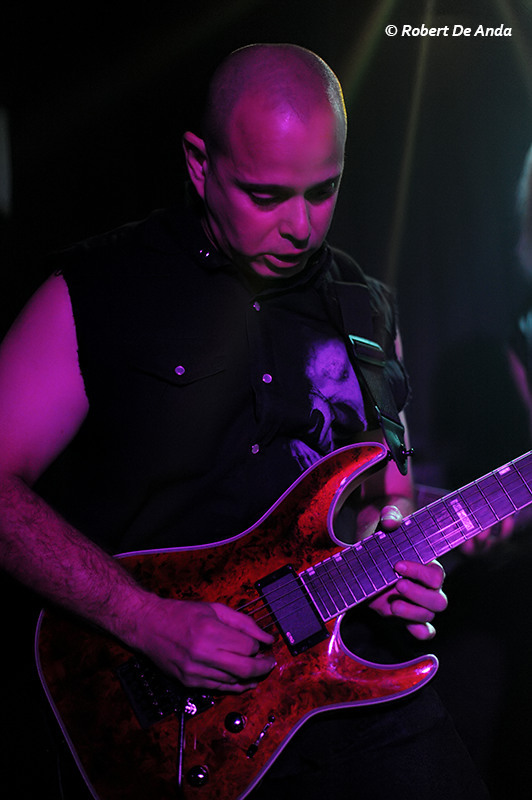 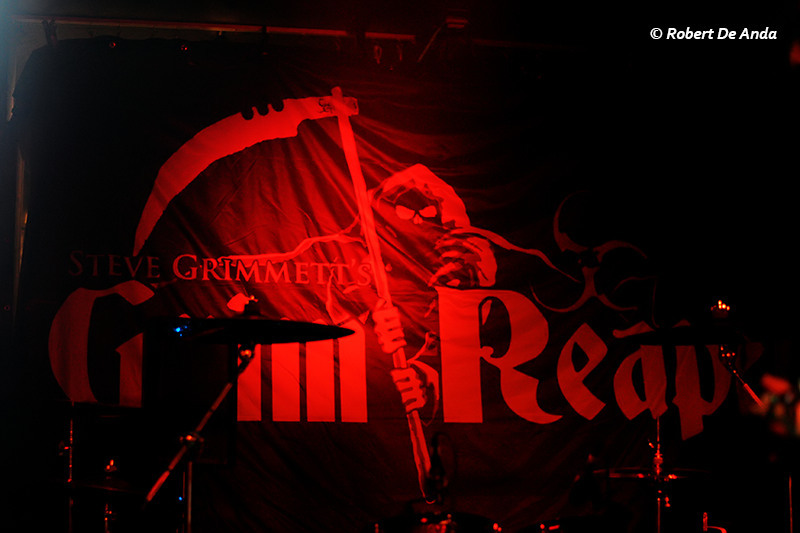 November 22nd 2016, Complex, Glendale CA: British traditional metal act Grim Reaper returned with a new album called ‘Walking In The Shadows’ in 2016, their first since 1987, albeit under the new moniker Steve Grimmett’s Grim Reaper as a result of vocalist Steve Grimmett being the only remaining member from the band’s classic lineup of the ’80s. 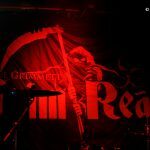 Embarking on an extensive North American headline tour in October, Steve Grimmett’s Grim Reaper played the final show of the run at Complex in Glendale on Tuesday November 22nd, with local support from Thrust and Blade Killer. 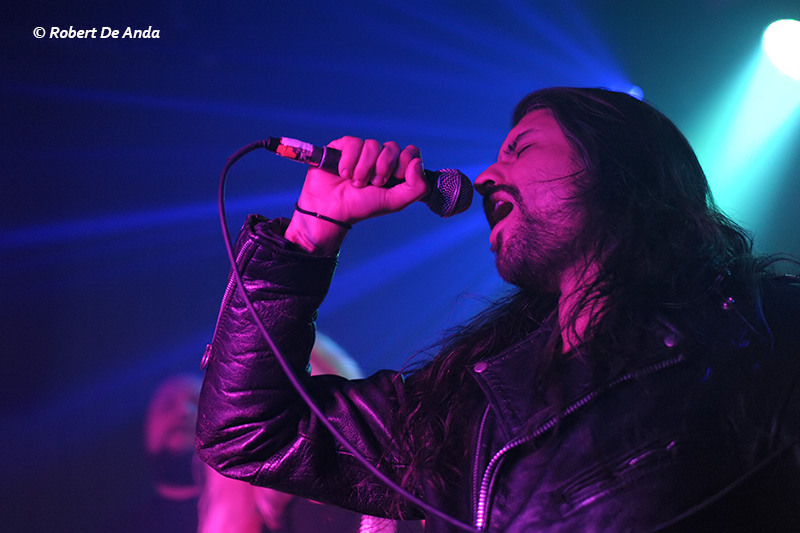 Denim-and-leather clad old-school metalheads from all over town gathered in good numbers in anticipation of a great evening. 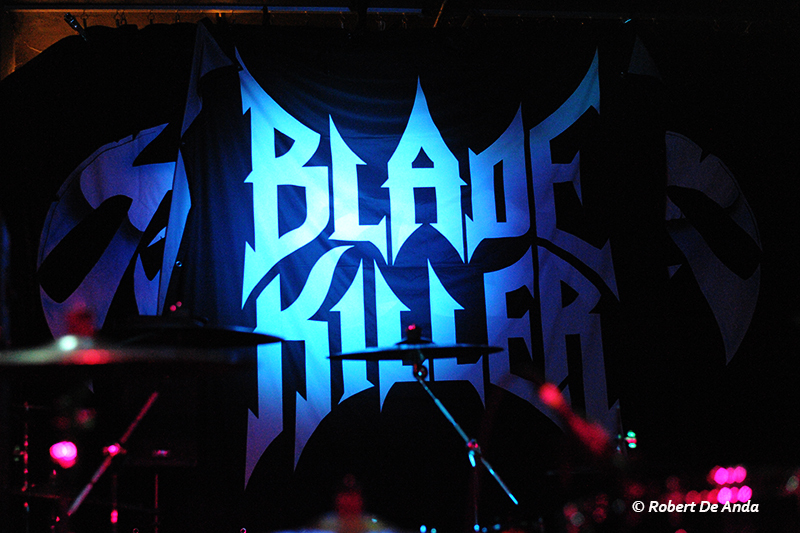 First up, LA quintet Blade Killer took the stage for a typically impressive set of fist-raising old-school metal jams. 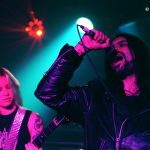 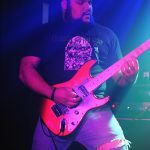 With excellent vocal delivery, catchy guitar work and an energetic rhythm section, this band has really come into their own over the past two years since they first burst onto the LA underground metal scene, and with wisely chosen gigs such as this, they’ve developed a fan-following, which is very well deserved. 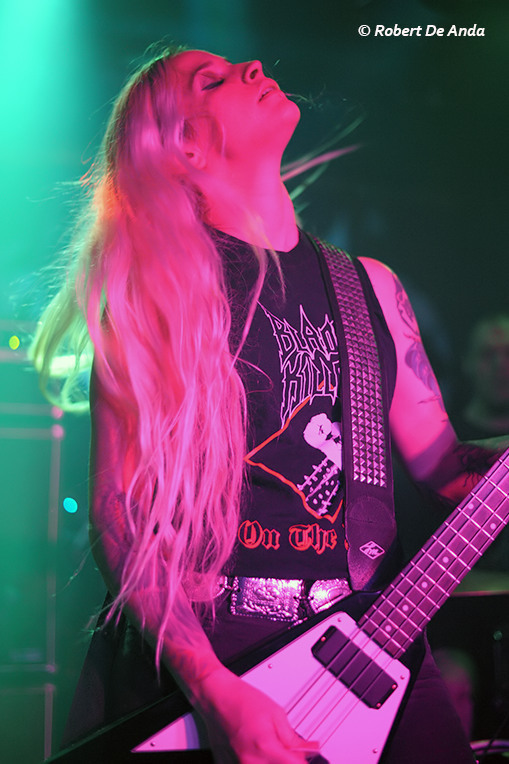 They played songs from their 2015 self-titled four-song debut EP as well as a few unreleased songs. 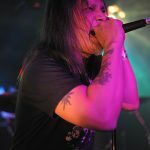 They’re probably the only band in existence that covers Armored Saint songs, and even though there was no Saint cover this time, they put forth an equally enjoyable rendition of ‘Twilight Zone’ from the Paul Di’Anno era of Iron Maiden. 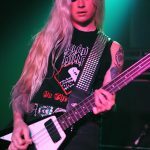 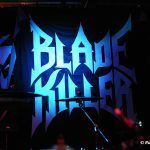 There is nothing better than a young group of good musicians presenting a fresh, exuberant take on the music they love, and with no disrespect to the bands that followed them on this stage, it is absolutely no surprise to report that Blade Killer was by far the best band of this show. 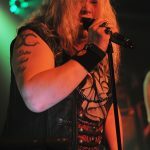 Next up were LA veterans Thrust, who’ve also made a comeback with their 2015 release ‘Reincarnation’, their first since the 2002 album ‘Invitation To Insanity’, and have played more shows this year than they have in a long time. 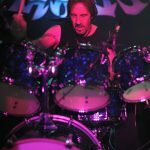 They played a 10-song set comprising tunes from ‘Reincarnation’ as well as their ’84 debut LP ‘Fist Held High’, along with a brand new tune. 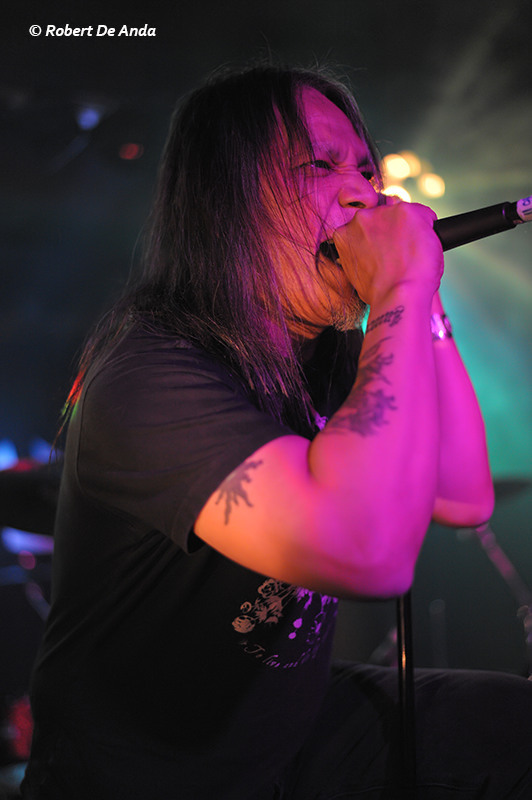 Vocalist Eric Claro gave it his all and tried his best to get the crowd going, but the band simply did not get the response they perhaps expected. 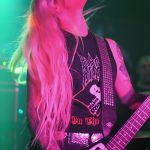 The Thrust logo has been seen all over the country as it occupies many denim patched metal vests, and it was interesting to finally get to see the band itself. 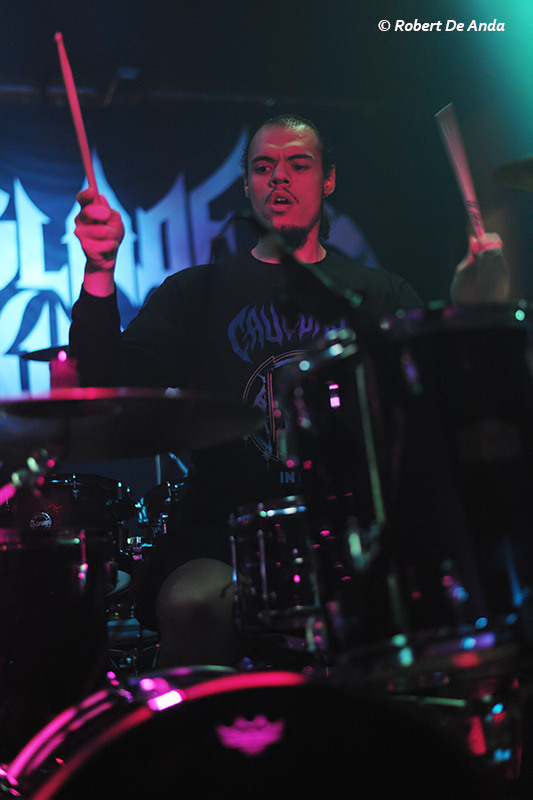 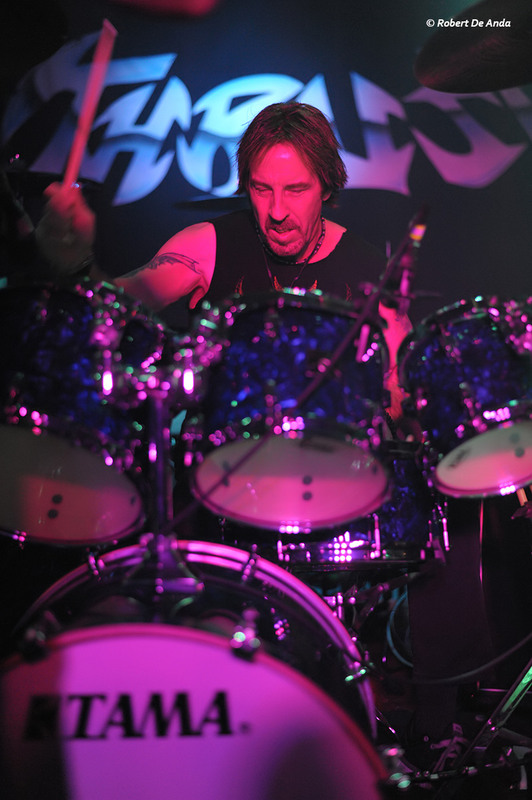 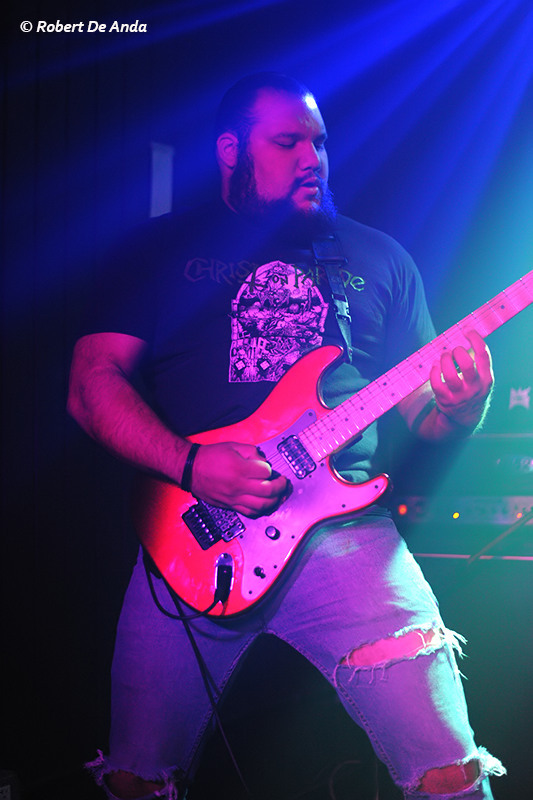 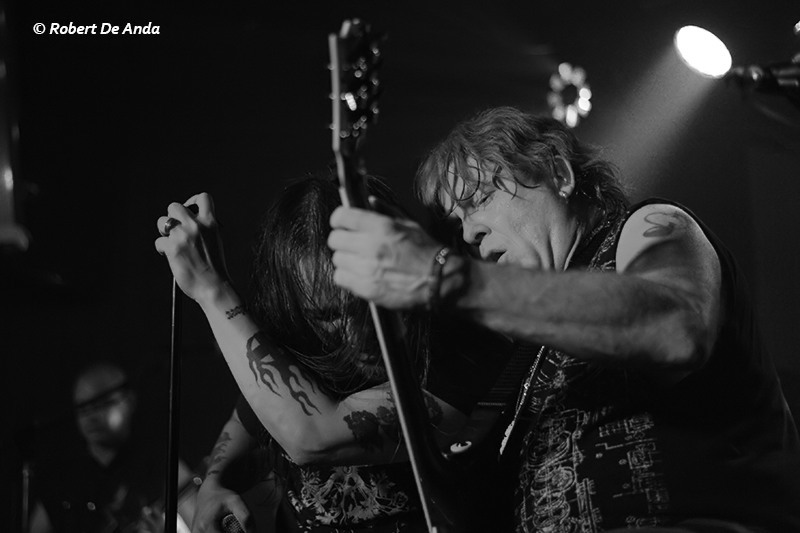 Musically, the Thrust set sounded a bit monotonous, but as a whole they provided a degree of variety to the show with their relatively thrashier elements and use of harsh vocals on occasions. 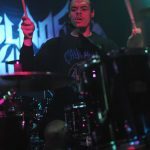 Most of all, they kept the cheesiness aspect of this old-school metal evening intact with songs like ‘Fist Held High’ and ‘Posers Will Die’, and were definitely not a bad choice as main support to a band like Grim Reaper. 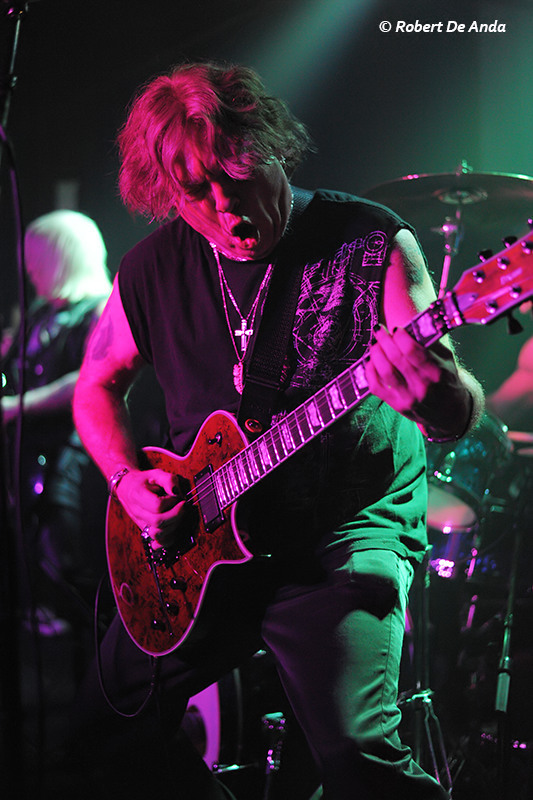 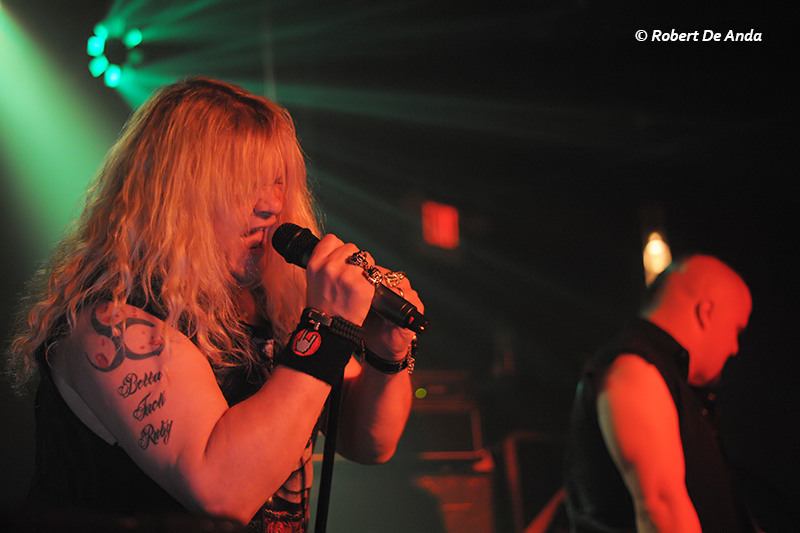 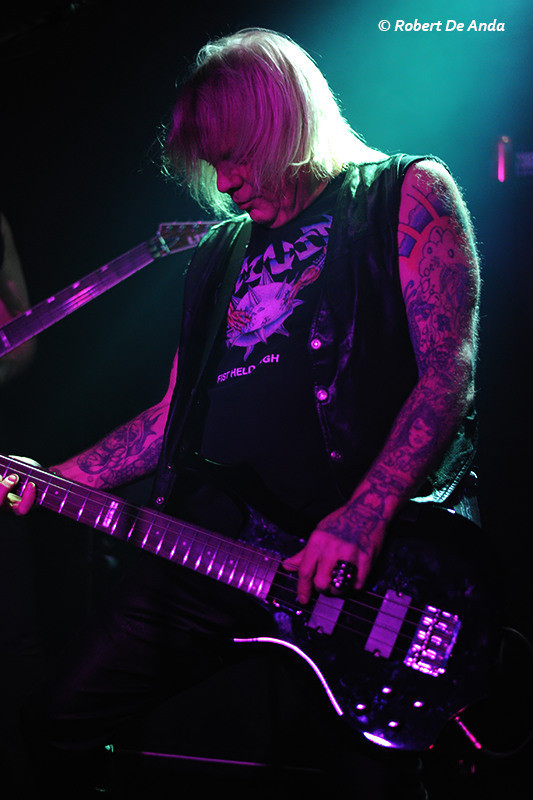 And lastly, Steve Grimmett’s Grim Reaper hit the stage as fans flocked in closer to it. 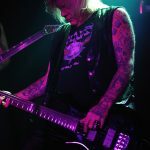 Grimmett and his band played a full 15-song headline set featuring some new material and plenty of ’80s tunes, delivering just the kind of set the fans hoped for, but very rightly, they saved the best for the very last, bringing the show to an end with the one song everyone wanted to hear, ‘See You In Hell’. 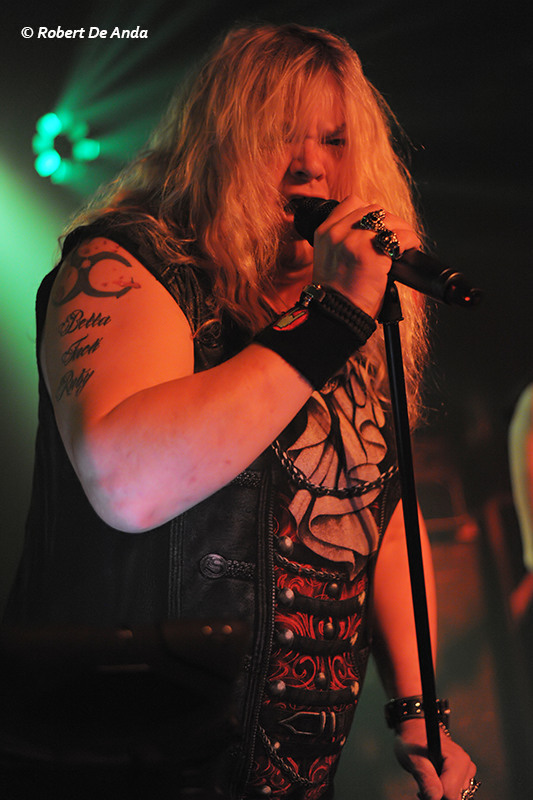 Vocalist Steve Grimmett’s stage banter left a lot to be desired, but he undoubtedly has the pipes, still, and his singing was easily the standout quality of this performance, but his band mates did a fine job as well. 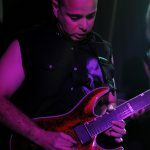 Besides the classics, their version of Dio’s ‘Don’t Talk To Strangers’ was fantastic and came across as wholehearted and genuine. 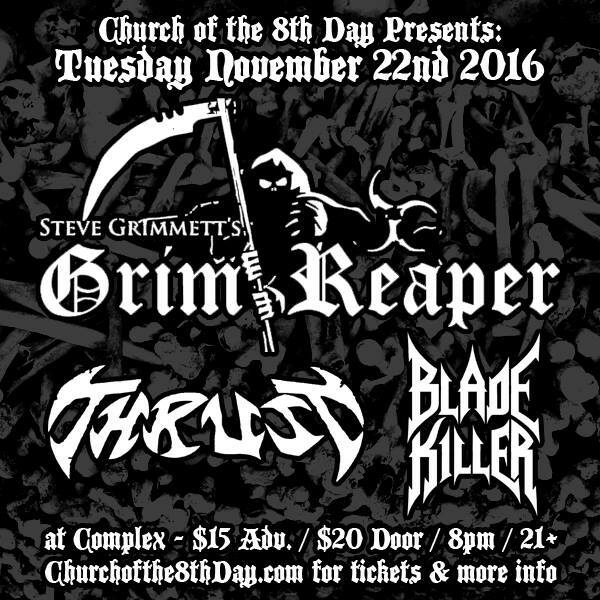 It was a privilege in some sense to be able to witness a band like Grim Reaper fronted by the same vocalist whose singing decorated their old albums many longtime traditional metal fans all over the world grew up with, and even though Grim Reaper’s music doesn’t really hold a candle to the band’s NWOBHM contemporaries, they clearly have a following in the underground, and their revival is most certainly welcomed by fans of the genre. 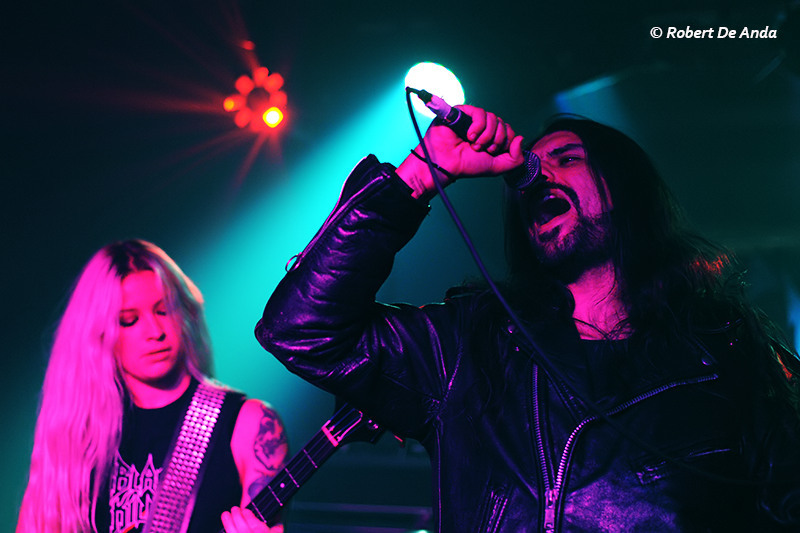 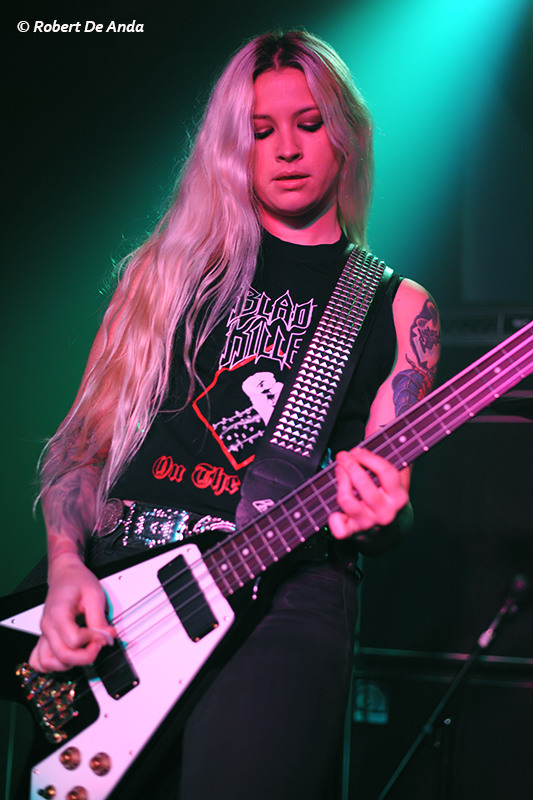 Overall, a righteous evening of old-school metal, ruled triumphantly by a young opening act.